Restaurant Zoe is Mr. Monkey's favorite restaurant in Seattle to date. I really love it, too, but I'm less prone to declaring favorites. 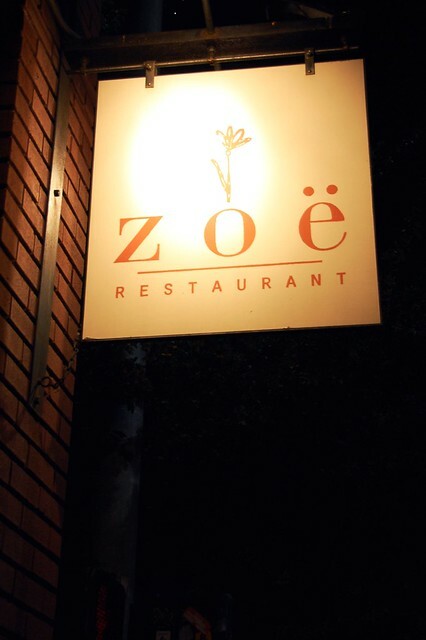 Restaurant Zoe is warm, modern, and sleekly understated. 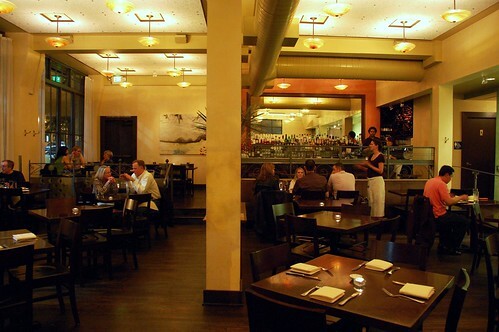 The service is wonderfully personable without being obsequious. 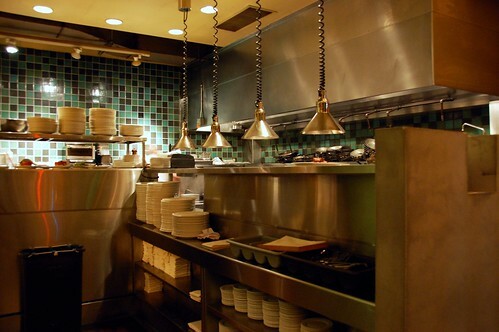 You get a fabulous vibe as soon as you step foot into the restaurant. 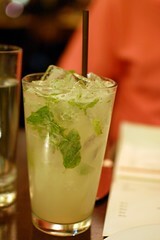 Minty Lime Press -- fresh mint, lime sour, soda and 7 ($3.75). 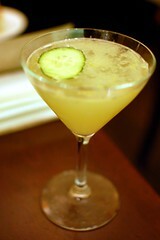 Clear Conscience -- non-alcoholic and slightly savory fresh citrus, cucumber and soda, shaken ($3.75). 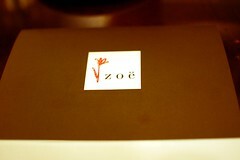 The drinks at Restaurant Zoe will delight you, even if you're not big on alcohol. Great care and creativity infuses all beverages. Completely unexpected, salty, sweet, and crunchy. So happy from the start! 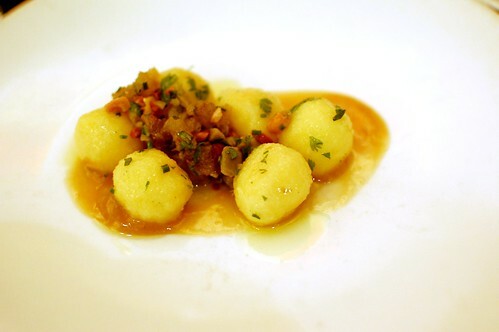 Fresh ricotta gnudi, golden raisin puree, picholine olives, almonds, curry oil ($9.75). Dreamy, creamy, cheesy ricotta gnocchi swathed in rich savory and slightly sweet sauce. Bouncy balls of bliss. 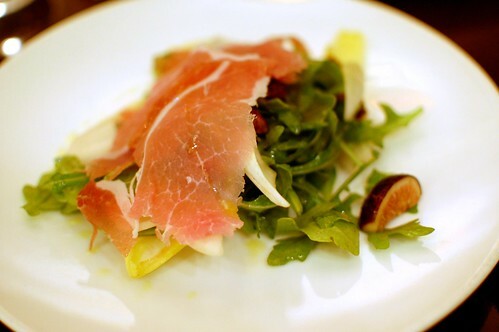 Black mission fig, prosciutto, candied pistachio, Belgian endive, long pepper vinaigrette ($11.00). Like it was fresh from the garden and then blanketed with beautiful cured ham. Another unexpected treat! 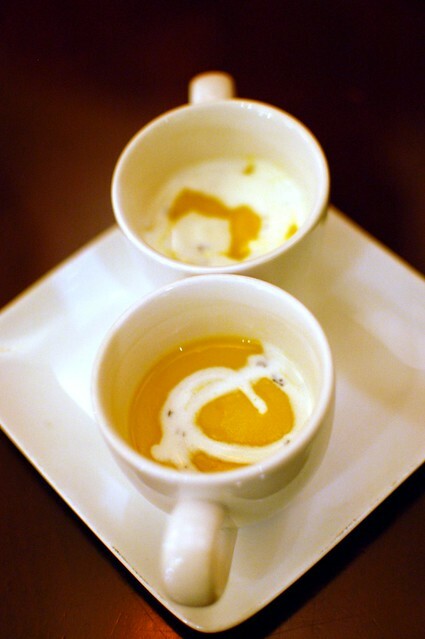 Rich little squash soup with crème fraiche! The Whole Hog -- roasted peach, endive, pistachios, lovage ($23.50). 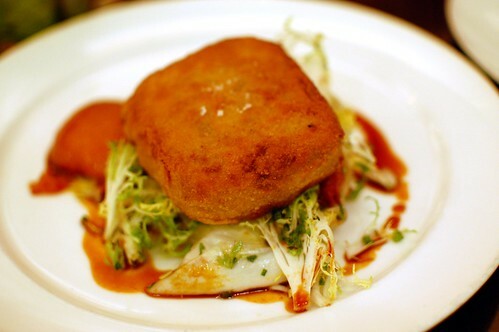 A pretty patty of pork that will make you applaud. Golden and fried on the outside. Juicy and tender on the outside. Full of flavor. Full of awesome. 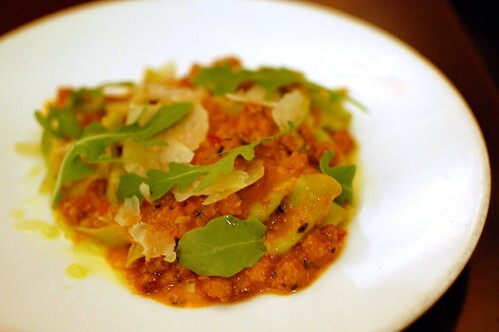 Spicy wild boar bolognese, arugula pappardelle, chili flakes, shaved Parmesan ($10.00). Piquant piggy pasta at its peak! Superb meaty sauce. Superb fresh pasta. Menage a Poire -- poached pear gingercake, pear-vanilla panna cotta, pear sorbet and caramelized pear ($9.00). 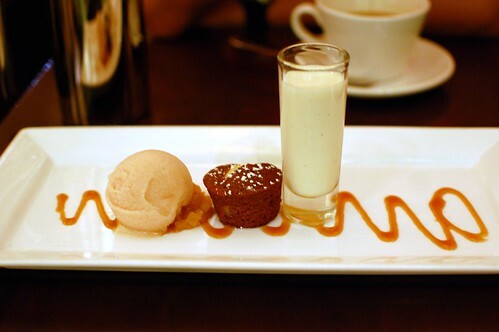 Delectable dessert to cap off a damn good dinner. 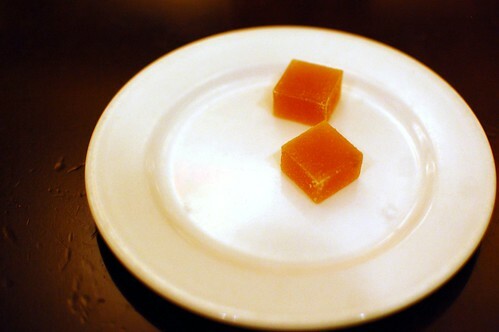 Happy bites of gelee! Hooray! Fantastic food. Splendid service. Reasonable rates. Excellent extras. Restaurant Zoe has it all. What a cute looking restaurant! Love the commentary on the dishes too. ack! i'm such a sucker for any part of the pig so that 'whole hog' dish sounds ridankulous! I love the look of that abuse bouche! But I usually love them in general because I like small introductory bites. Sounds like my kind of place: delicious without being stuffy. Beautiful photos, ma'am! 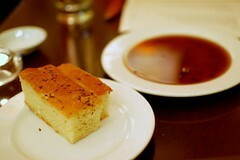 These are some yummy looking food pictures! Even though those drinks are non-alcoholic they still look good! 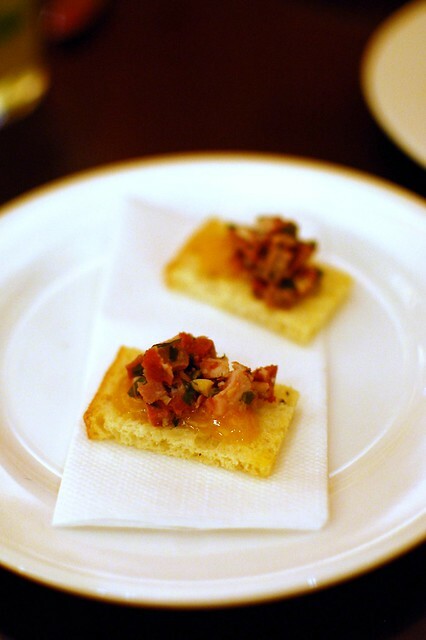 the prosciutto has me drooling all over myself.